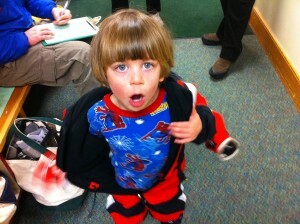 This is Big Guy’s fifth season in the Children’s Specialty Program called Sunday Ski Experience. He has graduated from a day that’s partly spent in the Children’s Center to a full day on the hill. When I dropped him off, he followed the directions of the helpful ski instructor to “ski over to the blue sign” in the “Parent Free Zone” that is the big kids’ drop-off corral. While there, I was gratified to (over)hear a parent introduce herself, quite cheerfully and somewhat apologetically, as a “problem child.” Not because I like problems, but because it gave me a chance to see the ski school in full-on troubleshooter mode. Other resorts may greet such an introduction with disdain. 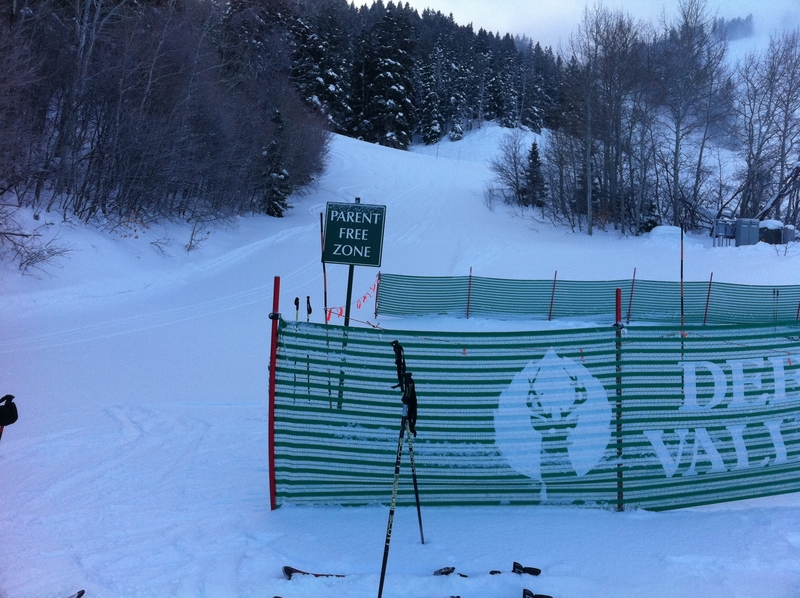 At Deer Valley, they appreciate candor and greet it with an honest attempt to help smooth things out. The problem this mom brought to the fore was clearly no fault of the resort, but a good-natured explanation of a circumstance in her family’s ski school plans. It would have been poor form for me to eavesdrop any longer, but I skied away feeling confident that the issue would be somehow resolved. I skied to the bottom of the run, and rejoined Ski Dad and Little Guy as they polished off the last of the Snow Park French Toast with which we’d bribed the kids out of the house for an early departure this morning. We were rewarded not only with the aforementioned eggy delight, but with third-row parking in front of Snow Park Lodge. SCORE! The three of us repaired to the Children’s Center, where a super-cheerful employee greeted our hero with no less than, yes, a hero’s welcome. Staffers who remembered him from his opening-day visit greeted him warmly. Others chided our greeter for out-cheering them. “I used to work for Disney! What do you expect? ?” she offered without a hint of apology and no small amount of pride. She assured us the day would be a great one, and Little Guy disappeared onto the curly slide. This is a hallmark of the Children’s Center at Deer Valley. They want kids to love the sport. And they’ll do everything they can to make sure that happens. Thanks, guys! We are off to the boot fitter this week, and cannot wait to see you next Sunday.